Mussell Crane Mfg.’s Machine Shop has the equipment needed to serve the most demanding requirements for precision, speed and quality. In our 8,500 ft2 machine shop, we have more than eleven major machine tools that routinely handle parts up to 32.28 inches in diameter and as small as 3/8 inch. We also supply quality replacement & repair parts, custom tools, jigs & fixtures, and prototype work. We cut aluminum, brass, plastic, and even more difficult to machine materials like stainless steel, tool steel, copper, cast iron, and titanium with extreme precision machining within .00025”ø. Max. Swing 42.13”, Max. Turning Diameter 32.28”, Max. Length 73.8”. Max. Swing 24”, Max. Turning Diameter 13”, Max. Length 24”. Max. Swing 15”, Max. Turning Diameter 12”, Max. Length 15”. Table 16” X 44”, X-Axis Travel 30”, Y-Axis Travel 16”, Z-Axis Travel 25”. Table 16” X 57”, X-Axis Travel 44”, Y-Axis Travel 16”, Z-Axis Travel 20”. Pitch Diameter External 40” Max., Pitch Diameter Internal 36”, Face Width 6” Hundreds of Cutters for Gears, Splines, Sprockets and Other Special Tooth Forms. 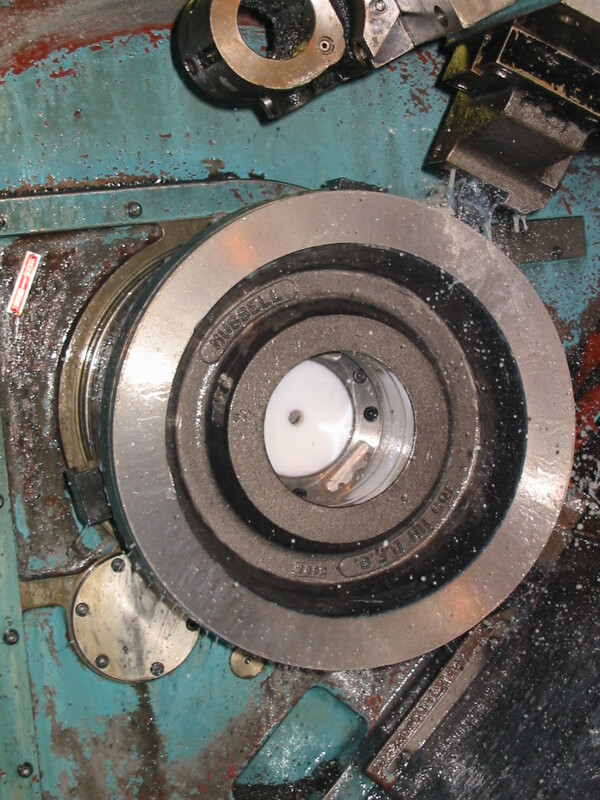 Helical Spur Wheel Max. 16” Diameter, Worm Wheel Max. 16” Diameter. Max. Stroke 48”, Maximum 50-Ton Various Spline Broach Tools & Keyway Broach Tools. Max. Stroke 8”, Indexing Table, Custom Internal Keyways to Any Width. Auto In-Feed, Max. 24” Diameter. Max. 16” Swing Diameter X 40”. Canadian Welding Bureau (CWB) and American Welding Society (AWS) Certified. Computer Aided Design (CAD) & Drafting, Solid Works 3D Mechanical Design, and GibbsCAM Software.